Thousands of blankets donated at Protea Hotel Fire & Ice! 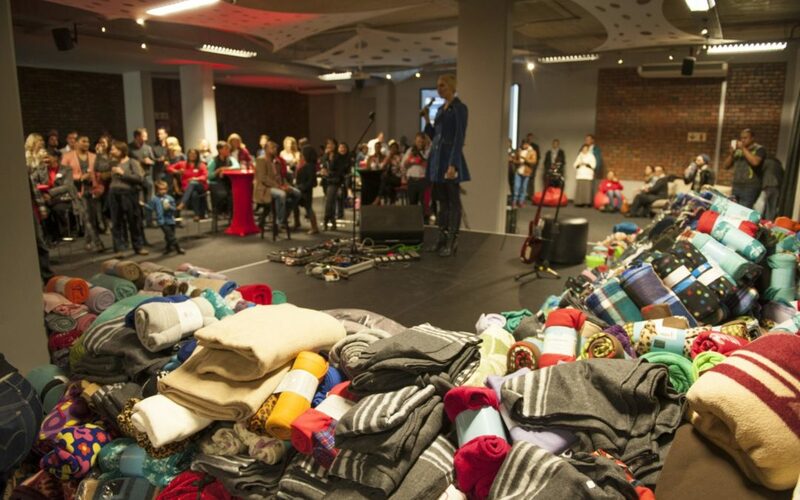 More than 4 000 South Africans will sleep warmly this winter thanks to the generous donations of a mountain of blankets at Protea Hotel Fire & Ice!, which spear-headed efforts in Cape Town and Johannesburg to grow this year’s Twitter Blanket Drive (#TBD2014). The hotels’ annual winter charity push culminated in twin events last week that saw hundreds of last-minute drop-offs from people who were generously fed, watered and entertained by some of the country’s top acts like Prime Circle. TV personality Liezel van der Westhuizen hosted the #TBD2014 closing event at Protea Hotel Fire & Ice! 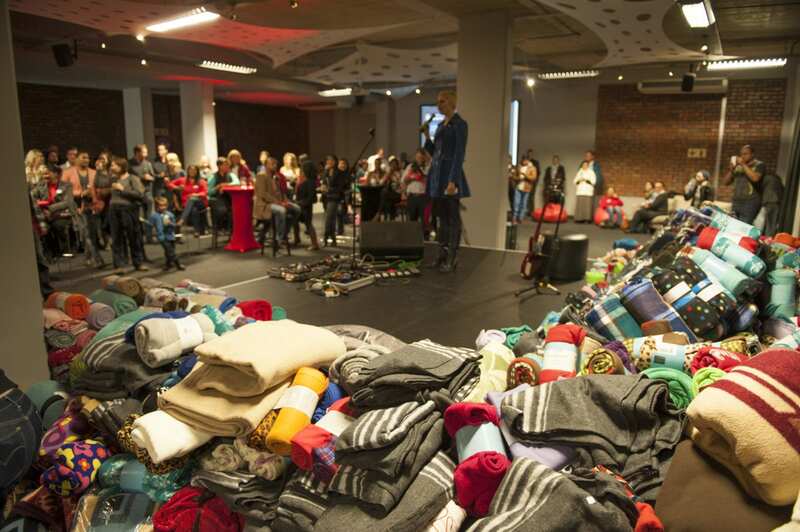 Cape Town, where some 2 500 blankets were collected for charity. In Jozi, more than 1 600 blankets will be distributed amongst the following charities; Soul Food, a charity that collects and distributes supplies to approximately 30 shelters in the Witwatersrand region, Seeds of Africa and Ark Animal Centre. Operation Shoebox in Cape Town, which supports more than 5 000 children in the metropolitan area, will get nearly 2 500 blankets from Protea Hotel Fire & Ice! Cape Town. The hotels joined this inspired initiative in 2011 and has since then been at the forefront of promoting it, with great success. Protea Hotels Fire & Ice! GMs Gabrielle Abrahams and Johan Cronje used their hotels’ Twitter and Facebook profiles to encourage people to raid every nook and cranny of their houses for warm blankets to donate. Guests staying in the hotels, who might not necessarily have travelled with their beloved blankies or don’t want to give them away, were also able to join the cause, by purchasing a blanket at either of the hotels for R75. Says Protea Hotels Group Marketing Manager Nicholas Barenblatt: “More and more South Africans are using Twitter, and this shows in the increased awareness of the Twitter Blanket Drive this year, and of course, in the tremendous number of blankets donated.